National Online Safety advice For current, up to date internet safety advice for issues that are present in the cyber world. At Rosehill computers and related technologies are often used throughout the school and play an invaluable part in the education of all the children. The majority of classes have a Smartboard that allow all pupils to access lessons via resources shown on an interactive computer screen. ICT is used in the majority of subjects to engage and motivate pupils and allow them access to a wide range of environments. To ensure that all pupils have equal access to ICT, Green screens, Cameras and IPods are available. We also use IPads across the school and are finding these to be fantastic devices to motivate and engage many students, many of whom would struggle to interact with a traditional computer. Computing as a separate subject is taught in the Upper School where pupils can use our fully equipped ICT suite which has 8 computers. We are also endeavouring to ensure that our students are digitally literate and aware how to safely use and operate a range of devices and equipment. In a world where computers play integral part in more and more of our daily activities it is imperative that students leave Rosehill with the knowledge of how to use such technologies safely and wisely. To develop an awareness of what the internet can be used for and the importance of interent safety. To become aware of appropriate and inappropriate behaviour on the internet. To know how and when to seek advice about information on the internet. To develop an understanding and awareness of why we need to give permission and ask for consent when using the internet. What is 'Safer Internet Day' and how did we take part? Safer Internet Day 2019 was celebrated globally on Tuesday 5th February 2019 with the theme: Together for a better internet. Coordinated in the UK by the UK Safer Internet Centre the celebration sees hundreds of organisations get involved to help promote the safe, responsible and positive use of digital technology for children and young people. This year in the UK, Safer Internet Day will focus on how consent works in an online context and will ask young people to explore how they ask, give, and receive consent online. At Rosehill, we are committed to equipping all of our pupils with the skills and knowledge to help keep them safe when they are using technology. For further information about e-safety please visit https://www.saferinternet.org.uk/safer-internet-day/2019. The links below will take you to our school's E-Safety page, where you will find lots of useful information and websites. Pupils at Rosehill have been learning all about how they can stay safe online and why they need to ask permission before doing something online. 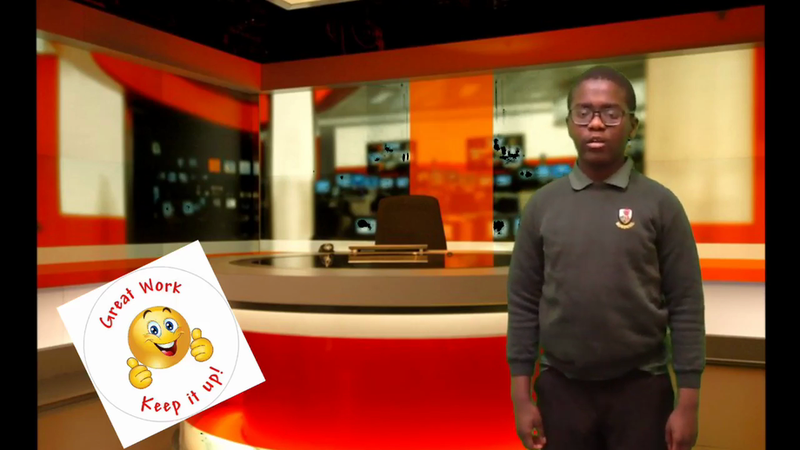 Here is a fantastic video created by students in class 10 using the green screen. Enjoy!